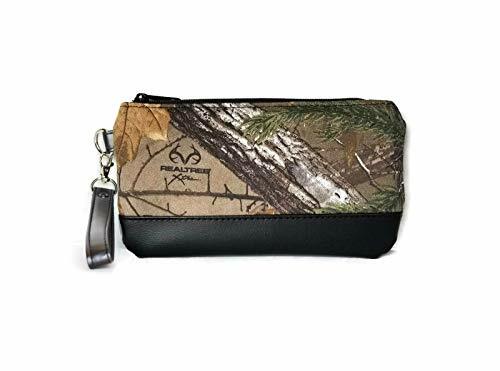 Realtree camo fabric wristlet purse. Measures approximately 9" x 5"
Made of Realtree camo fabric, lightly padded, and vinyl. Black cotton lining inside zipper pocket. Quality zipper closure. Includes a matching detachable wrist strap. If you have any questions about this product by Reindeer Country, contact us by completing and submitting the form below. If you are looking for a specif part number, please include it with your message.